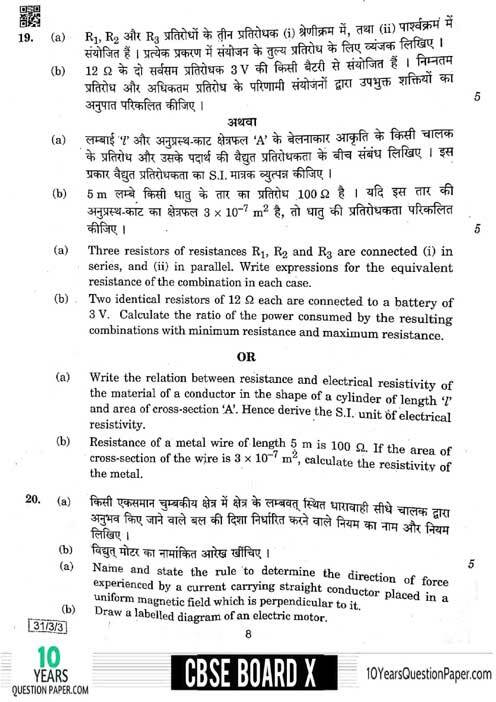 CBSE Board Science Question paper for class 10 of 2019 examination. The Previous year CBSE 10 class 2018-2019 solved Science is given above you can preview the question paper and download the paper in PDF and solve them at your school and home. 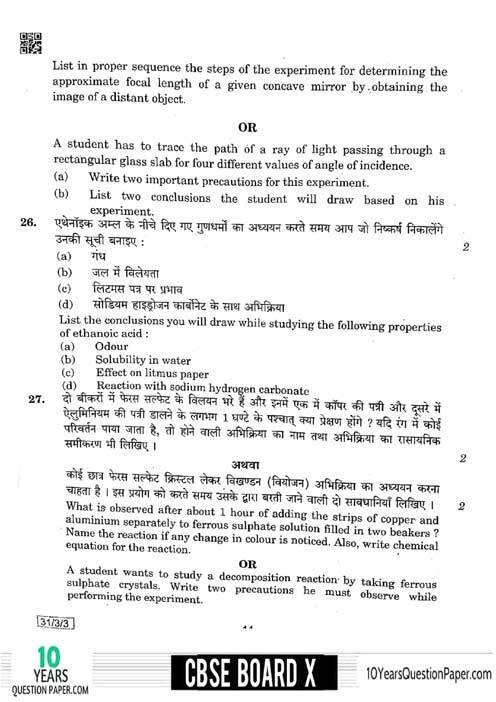 Science CBSE board 2019 Syllabus for Class X of Maximum Marks 80 - Chemical Substances - Nature & Behavior (25 Marks), World of Living (23 Marks), Natural Phenomenon (12 Marks), Effects of Current (13 Marks), Natural Resources (07 Marks). 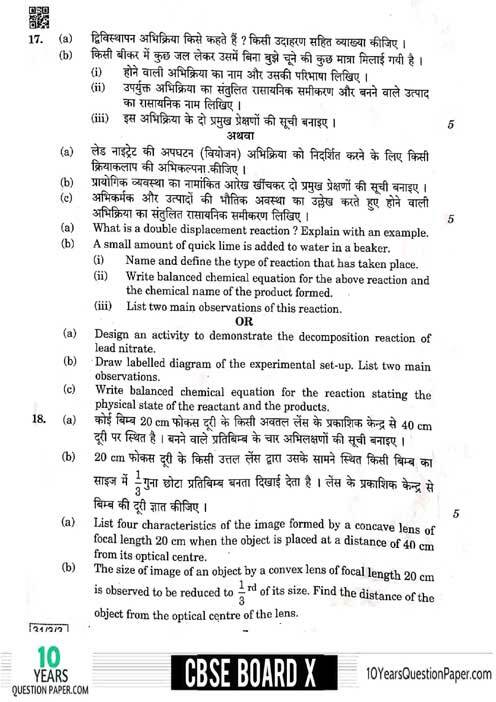 CBSE CLASS X Board Exam Science (Physics, Chemistry, Biology) Question Paper of 2019 examination is given above. 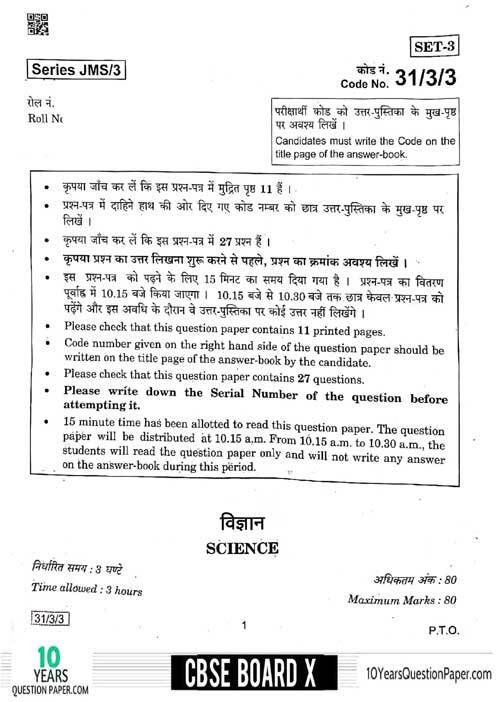 So students preparing for the 2020 examination download and preview the question paper and try to solve this CBSE class 10 Science Previous Year Questions 2019 in your school, this will help you to upgrade your exam preparation and boot your result. If you find the previous year question paper helpful do share this with your friends. 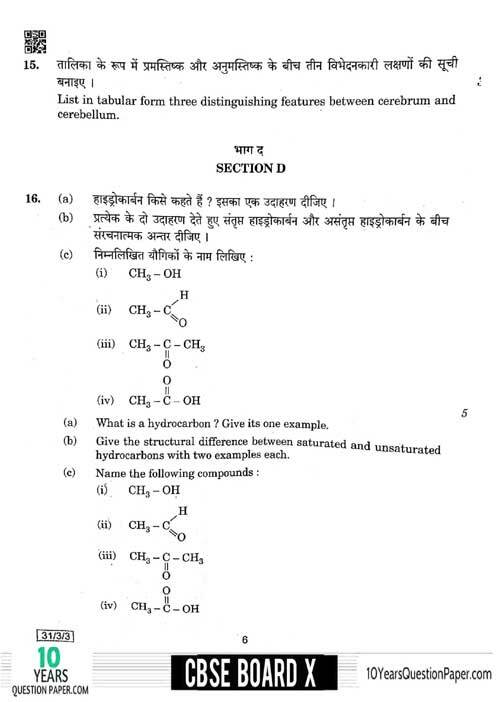 So have you started solving the CBSE Class 10 previous year 2019 Science question paper?